In the face of mounting domestic and international backlash over his administration's inhumane practice of forcibly ripping families apart at the U.S.-Mexico border, President Donald Trump on Wednesday signed an executive orderdirecting the Department of Homeland Security (DHS) to detain families together, a policy Amnesty International decried as just "another way to punish parents and children for seeking protection." 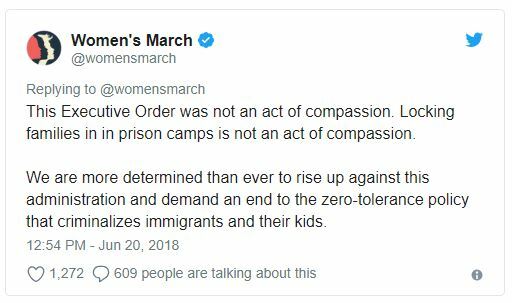 "The United States cannot continue to treat vulnerable families fleeing horrific violence and persecution like criminals. It is time to end family detention once and for all." Trump's executive order comes after weeks of constant lies by White House officials and Republican lawmakers, who repeatedly claimed that the family separations adhered to the letter of the law and that "Congress alone" could remedy the humanitarian catastrophe the president and his racist team of advisersmanufactured. 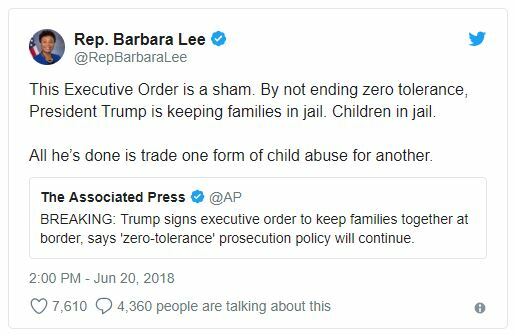 "Jailing families is not an acceptable solution to putting children in cages. The best—and safest—place for these children is with their families and in their communities."